Usability Associates is a Human Factors consulting firm specializing in requirements definition, design, testing and installation for product development. The firm was founded in 1998 by Stanley Caplan. Stan envisioned a personalized usability design service for companies without Human Factors resources, as well as for companies needing extra human factors resources when the need arises. Moreover, Usability Associates also has the mission to bring awareness of human factors and usability to companies that were partially in the know of the discipline, but needed a complete picture of how total user experience design could help improve their business. In the 18 years that Usability Associates has existed, Usability Associates has served over 20 clients, small and large companies, in a myriad of ways. Many clients have engages the firm multiple times. Design projects have been varied and have involved the range of research and design methods, including user interface specification writing, heuristic evaluations, usability testing, user experience visualizations, usage surveys, literature research, and more. Usability Associates has also performed non-design services for clients such as organizational benchmarking, recruiting Human Factors professionals, recruiting external usability testing participants, and distributing payments to external participants in company studies. Usability Associates has also collaborated with affiliated resources where appropriate. Affiliations include Innovation-TRIZ, UserWorks and Aaron Marcus and Associates. 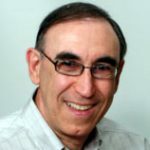 In addition to managing Usability Associates, Stan Caplan co-created the UXD Consortium, a non-profit, forum for user experience managers to have an ongoing relationship with each other. The Consortium meets twice a year in a variety of venues where members are exposed to new UX technologies, methodologies and design management practices. Check out the UXD Consortium web site for more information.